Just switching on a humidifier isn't enough to cure the season of dry air and respiratory illness—you have to clean it too. Fortunately, this is one weekly routine that's easy enough to keep. 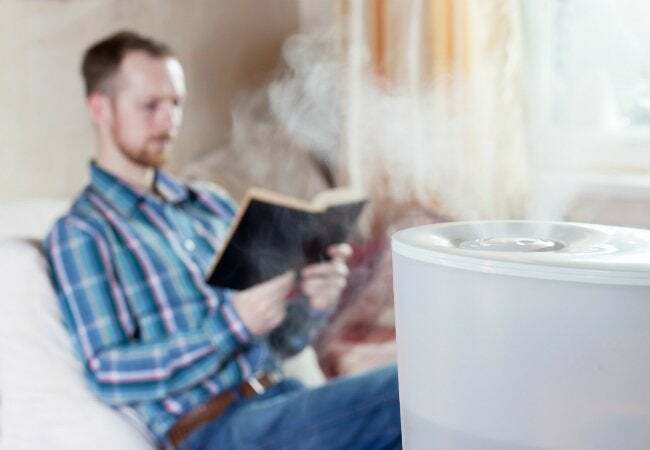 A hardworking humidifier is a lifesaver during the dry, cold months of winter. Its dedicated function—adding moisture back into the air in your home—can soothe dry skin, improve the symptoms of colds and other respiratory conditions, and maintain a level of indoor comfort despite the changing of the seasons. 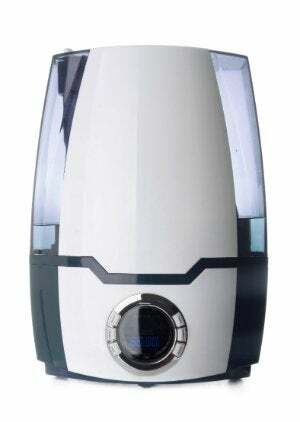 If not regularly cleaned, however, a humidifier can spew more than just moisture. The standing water provides a prime breeding ground for mildew and bacteria, which can then in turn be dispensed into the air with each puff from the machine, potentially making your allergies worse. Fortunately, caring for this useful appliance is not complicated: Spare yourself a headache by emptying out, cleaning, and sanitizing your humidifier once a week. While the cleaning routine differs slightly from model to model, you can follow this guide for a solid starting point. Before you get going in earnest, however, be sure to consult the owner’s manual for your unit’s specific cleaning needs and warnings. Unplug your humidifier and remove the tank. Pull out the filter first, and rinse it with cool, clean water—and only water. Cleaning solutions can potentially damage a humidifier’s filter. While you’re at it, take out any additional parts that can be disassembled (refer to your manual) so you can wash them separately. Next, reach into the cleaning closet and pull out a gallon of vinegar—this all-natural all-star has many powers, including softening mineral deposits, killing mold, and preventing future growth. Fill the base with white vinegar, and swish it around so that it runs over all sides. Also fill a small tub or bucket with undiluted vinegar, and drop in any parts you’ve removed from the base to let them soak. Allow the vinegar to work for about half an hour. Then, gently and thoroughly scrub the base with a soft-bristle brush, getting into all the corners and removing any scale and/or mineral deposits that have formed. (You might find that your humidifier came with a special brush for cleaning; if not, you can use a bottle brush or old toothbrush.) Don’t forget to do the same with the pieces that you soaked in your tub of vinegar. Rinse everything thoroughly with cool, clean water, and set aside on a towel to dry. Next up: Your humidifier’s tank. Pour any excess water out of the tank and refill it with clean water. Add a teaspoon of bleach (or vinegar, if you prefer) for every gallon of water, and allow the solution to sit in the tank for half an hour. Drain the tank and rinse very, very thoroughly with cool, clean water. Put your humidifier back together, fill the tank with fresh, clean water, and plug it back in. If you use distilled water in your humidifier, you’ll probably see less buildup of mineral deposits at your weekly cleanings. Be sure to empty out and refill your humidifier with clean water daily. As a general rule, household humidity should remain between 30 and 50 percent. Anything higher will cause stuffiness and condensation, inviting the growth of mold and mildew; anything less, and you might start to experience the dry nosebleeds and cracking skin so many suffer from in winter. Set at the right levels and regularly maintained, a clean humidifier makes for a happy—and healthy—home all winter long.